Printed Circuit Board Developer - Sodium Metasilicate Pentahydrate PCB developer that is supplied in free flowing odourless granules and is ready for dilution with water. Suitable for single or double sided PCBs, and all applications such as prototype work is 10g of granules with 100ml of water, or the full 500g would make up to 5 litres of developer. The ideal temperature for dilution and developing is room temperature approximately 20 C. Development time will depend on the complexity of the board design, dilution ratio of the solution and the temperature. After development, the board should be rinsed thoroughly and dried either in air or an oven. Always wear protective gloves and goggles and avoid contact with the eyes and skin but, in case of contact, flush liberally with water. 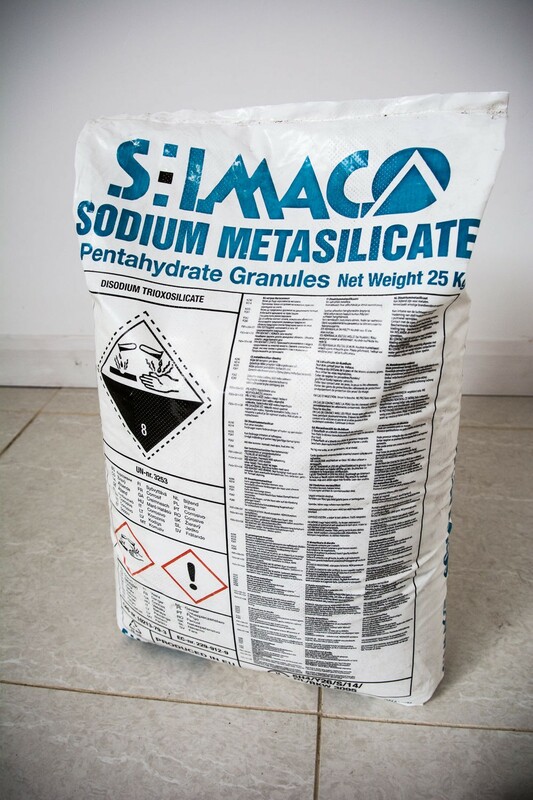 Sodium Metasilicate mainly used in high efficiency detergents and metal cleaners. It can help raise cleaning efficiency and reduce environment pollution. Can be used as an alkaline buffer, prevent corrosion for metal and function as a water softener. Commonly used in the pulp and paper making industry, it is used in sizing and coating paper. When coupled with hydrogen peroxide it is used in the cellulose bleaching process and this acts as a buffer and stabilizing agent. With its fantastic emulsifying and suspension properties combined with reserve alkalinity Sodium metasilicate becomes one of the leading ingredients in soaps and detergents, including those for automatic dish-washing use. Throughout the years eggs have been preserved by immersion in a sodium silicate solution. This process seals the eggs, which in turn preserves them from bacteria and prevents spoilage. This can preserve the eggs for a number of months.